Finding a good deodorant is no joke. Honestly, depending on your body and skin needs, finding the right deodorant for you can be a process. Well, boys, lets make it a little easier with this freebie. 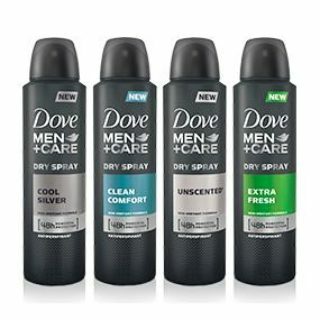 Click here to head to the Dove Men+Care Facebook page and scroll down to the free sample offer. Just click the ‘Sign up’ button and fill out the form to receive your free dry spray sample.